De Vere Hotels are offering fantastic themed Sunday night entertainment breaks. 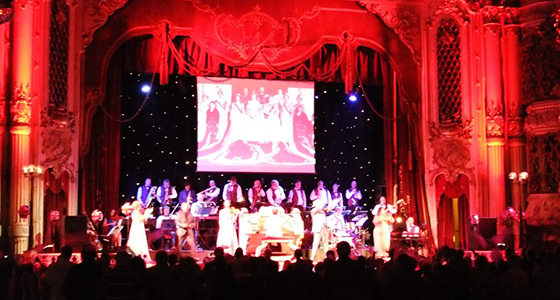 These 1 night breaks are huge fun for groups and a perfect start to the new week, as well as being ideal gap-fillers for your tour programme - from Swing to Strictly, check out the great entertainment on offer! Set in 330 acres of the University of Nottingham’s landscaped parkland, this modern, award-winning, eco-friendly 4 star hotel opened in 2012 and was designed to maximise the use of natural daylight, featuring outside terraces, floor-to-ceiling windows and unique, contemporary décor throughout. All 202 stylish bedrooms are equipped with hairdryer, TV and tea/coffee making facilities. The brasserie style restaurant offers modern British cuisine with an emphasis on locally-sourced produce and there is a welcoming bar where guests can relax with a drink. Coach parking is on-site and is free of charge. Surrounded by 150 acres of peaceful parkland, this hotel is a stylish and contemporary retreat in the heart of the Northamptonshire countryside. In a convenient location, the hotel is easily accessible from the M1, M6 & M40 and is just a short drive to Northampton and Coventry. The collection of comfortable, modern bedrooms offer plenty of space and are equipped with TV, hairdryer and tea/coffee making facilities. Dining is a relaxed affair with a modern restaurant serving up the best of seasonal and local food, as well as a newly refurbished bar and a coffee shop to choose from. Leisure facilities include a gym, indoor swimming pool and spa pool. There is also an 18-hole golf course in the hotel’s grounds. Coach parking is on-site and is free of charge. 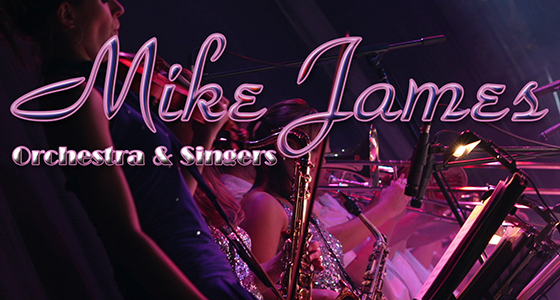 Mike James and his band will recreate the classic sounds of the swing era – with the modern styles of today – a style which embraces many musical tastes and formulates them into a unique and highly entertaining programme! With a mix of uplifting music, laced with a generous helping of humour, this style encourages audience participation from the first few bars of the opening number! Performed by the Diamond Jubilee Orchestra and directed by Mike James, this show features music from the classic tunes of the war years to the popular tunes of today with a special tribute to Dame Vere Lynn, the Forces Sweetheart. Recreating some of the most iconic film and theatre music of the last 60 years together with some of the best loved classical tunes, building towards a grand finale of famous flag waving standards – Land of Hope and Glory, You’ll Never Walk Alone, Jerusalem and Rule Britannia – this is a night to remember. 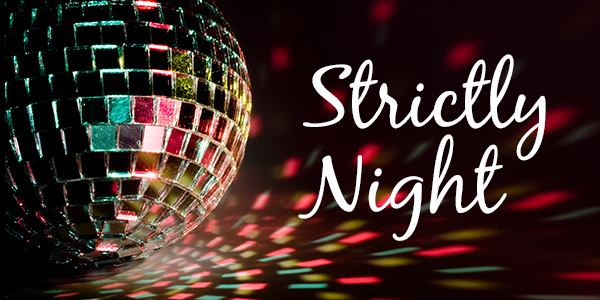 Based on the TV series Strictly Come Dancing, this show is hosted by a professional dance couple who will perform a cabaret dance routine to entertain you, followed by the opportunity for you to learn new dance moves! The evening continues with dancing to Ballroom and Latin American music. 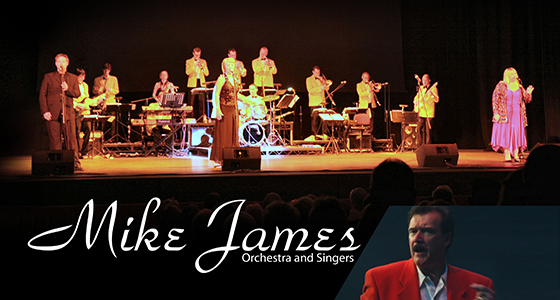 After dinner, get ready for a swinging Christmas with Mike James, his orchestra and singers. Come and enjoy a Christmas party atmosphere as Mike and his team perform all your favourite, festive tunes. This special night will feature all the classic songs of Christmas made famous by Frank Sinatra, Michael Bublé and Nat King Cole. There might even be something by Wham and Slade, and of course, Bing Crosby’s White Christmas. This is a great night to get you in the Christmas spirit!